I am an IRONMAN Certified Coach, F.I.S.T. 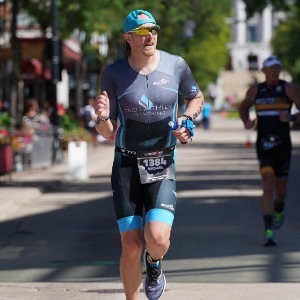 Certified Bike Fitter, USA Cycling Level 3 Coach, Licensed Physical Education and Health Teacher, and have been coaching for over 15 years and have experience working with athletes ranging from high school freshmen to elite age group athletes. Areas of coaching emphasis include Triathlon, Distance Running, Bike fitting, Form/Gait Analysis, Strength Training, Cross Training, Injury prevention and maintenance, etc. I have a Bachelor's Degree in Physical Education and Master's Degree in Educational Curriculum and Instruction. I began coaching at 18 years old and have experience working with both men and women, ages 14-60 as well as individuals with special needs. It is my philosophy that everybody has room to improve and that adding the accountability of a coach is a great way to aid in an athlete's development. When you know you have someone to answer to, it's always easier to get out and do the work! I love working with anybody who is willing to commit to the process of improvement and am confident that I can help you work toward your goals! I have been trained as a F.I.S.T. Certified Bike Fitter, USA Cycling Level 3 Coach, and as an IRONMAN Certified Coach, and have access to a GURU Fit Machine. From underwater analysis of your swim stroke to bike fit and gait analysis on the run, I can get you set up for your next great success! Visit my site at www.treisathlos.com and see how I can help you achieve your goals, First Step to Finish! I will work with anybody who is willing to commit the time and energy to improve! Success. Coach Michael Bieber has been notified of your message.